Ever been stressed out by the clutter on your desk? Or when you’re trying to find an important document, or a specific outfit from a messy closet? The truth is – the more stuff we have, the more difficult it is to keep them organized. The more clutter and mess we end up with as a result can lead to a stressful day, and this stress can build up over time. This has to stop. • The first section of this book highlights a brief history of minimalism and its origins. It also covers how the minimalist movement has evolved over time, what modern day minimalism looks like, and its benefits. • The second section covers a wide range of strategies and techniques that you could use to declutter, get organized, and live in a stress-free and minimalist home. • The last section highlights what a minimalist lifestyle could look like; it covers a wide range of topics including minimalism in money, health, relationships, and much more. My goal, through this book, is to empower you to find joy in simplifying and to find happiness in fewer things that truly matter. Usually I don't read such books but this one caught my eye while scrolling through the kindle store and I decided to get it and give it a read. It is a decent collection of concepts and information about minimalism from the Internet. It's quite little but tried to touch most aspects about the topic. 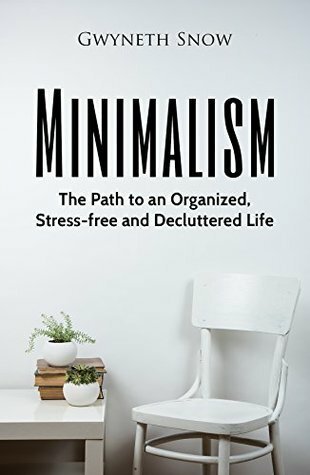 I liked the way the Author first explained the concepts and philosophy of minimalism, then diving into history and moving slowly into the modern era. Later on beginning with the little tips and solutions for the ones who are interested in this ideology. Coming from your Average & Typical Indian family I am fairly accustomed with the concepts that are described here, its not labelled here as much but most people follow the similar lifestyle. Get only what you need and just leave the excessive not needed clutter behind. I'd say it a really nice one time read for the one who wants to try out or just accustom themselves with the concept and the ideology of living minimalistic. Note : At the time of posting this review, the book is available for free on Kindle, so do check before downloading and get your copy if it interests you. Also, if you love reading Hindi Poems, this ( https://amzn.to/2Tl3Hkx , https://t.co/nqc3N9iXd2 ) Book is available for free to download and check out. Do comment and share your thoughts about it! I'd love to know what do you think. Also, I'd keep updating it quite often so do follow the blog to get all the updates by clicking here.